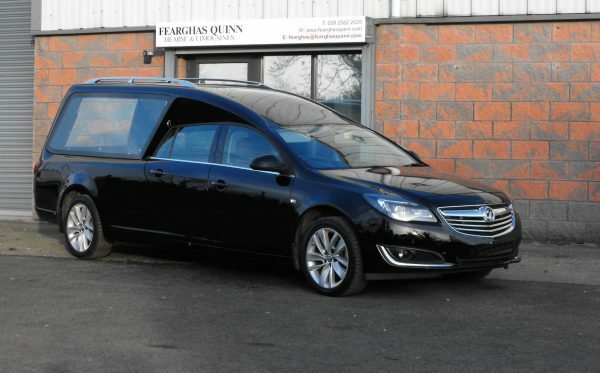 Fearghas Quinn Hearse and Limousines will be exhibiting vehicles hand-built in our County Antrim premises and you will have a chance to grill us on our design and coachbuilding process, as well as looking at some photos and videos from inside the factory. 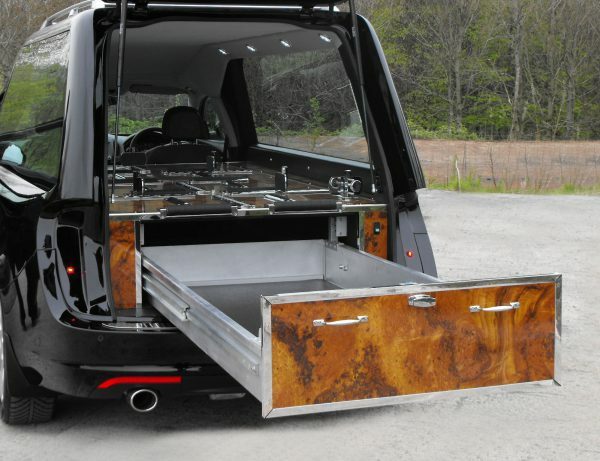 We always intend to base our 3 and 5 door hearses around the design of the base vehicle. Whether it is a Mercedes, Opel or Ford, you can be rest assured that the aerodynamics and body shapes which make these cars look so great, are reflected and amplified in our hearses. Each vehicle has their unique flavour and signature, and you can see for yourself how they “flow” from front to back. Here in Portglenone we take a practical approach to building a hearse made specifically for the funeral industry’s needs. We strive to innovate and improve in ways which benefit the funeral director. Our vehicles are simple, practical and stylish. A mix of contemporary design and tradition means that you are getting the very best value for your money with Fearghas Quinn. From Granada, to Scorpio to Mondeo. Omega, to Vectra to Insignia. 124, 210, 211, 212 and beyond, we have always followed car manufacturers in the pursuit of better. Better storage options. Better lighting. Better finish, inside and out. Each vehicle we build, we aim for it to be the best we’ve ever done. With constant tweaking and progressing there is always a sense of evolution rather than revolution. “We can do that better” is a common saying here in our Co. Antrim base and we always strive to live up to that, for the benefit of the undertaker. And on 03rd October 2017, we will all get to see this year’s result from the endless pursuit of more. A vehicle we have kept under wraps for some time will be unveiled at the Funeral Times Trade Show. A culmination of our efforts in design, practicality and coachbuilding experience. Join us there and see for yourself. It’s always so much better than the pictures.